Robert was born in the Washington, D.C. area, but grew up in North Carolina. An identical twin Robert played chess in school but learned bridge during college at Haverford College. Robert is a graduate student in Psychology at Emory University. Robert was introduced to competitive bridge during his time, after undergraduate school, working in a research lab at UNC Chapel Hill. The bridge team there was very strong, and both the members of the bridge team and local expert community, helped Robert and the other members improve their bridge. With the UNC team, Robert made the final of the Collegiate National Championship (where they lost to Berkeley). Robert also won the C Flight North American Pairs at the Reno NABC, playing with Ben Kompa, also from UNC. Robert enjoys playing with new players (particularly juniors). His advice to advancing players would be to focus on the basics, especially card pay, as well as never stop asking questions about why a position should (or should not) be played a certain way. If the person you are playing with can’t answer those questions, then find someone who can! Outside of bridge, Robert is an avid soccer fan, part of a Supporter’s Group for the Atlanta United team. He attends every game and roots for the team. Ram was born in Chennai (Madras) Idia and his mother tongue is Tamil. He is the eldests of 3 children, having a brother and sister. He attended school in Bombay until the 11th grade and completed his undergraduate education in Calcutta. He recieved his graduate engineering degree at Banares Engineering College and earned an MBA at the University of Akron. Ram worked for several engineering firms including Braithwaite's and Babcock & Wilcox. He was a managing director at Conoco and Consumers Power, both in the US and India. Ram first joined the ACBL in 1973, but began playing regularly in 2015. He is a very intelligent player who rose quickly through the ranks and is currently a Bronze Life Master. When asked why he progressed so far in such a short time, he credits the logical thinking he used in his engineering work. His advice to new players is to learn the systems and fundamentals without having to do every convention. He spends so much time playing bridge because it is the best chance to exercise his brain and because of the social aspect of the game. Virginia Saul is a beautiful and gracious lady who just turned 90 years young. She was raised with her younger brother in Atlanta and graduated from Girls High School and the University of Georgia. Virginia's mother, Theresa Diamond, was a avid bridge player until her death at 94, earning 2500 master points playing with partners including Jack Feagin and Carey Snyder. Virginia was sure she did not want to play bridge when she heard some of her mother's other partners squabble loudly, but her friend, Joyce Levow, suggested they take lessons and they started their bridge careers together. Virginia worked as a teacher and then worked at Atlanta Antique Shop for 18 years. Virginia temporarily quit bridge as she grew more involved with her family and with volunteer activities including Hadassah, The Jewish Federation of Atlanta, and The Jewish Home. 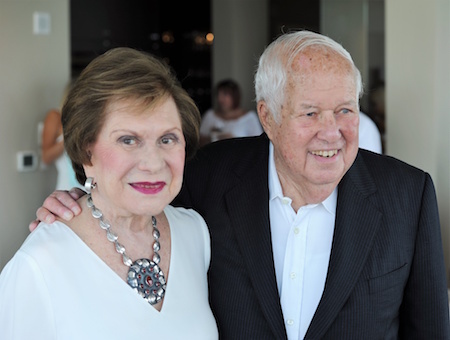 Virginia was recently honored by Hadassah for her lifelong commitment to its causes. 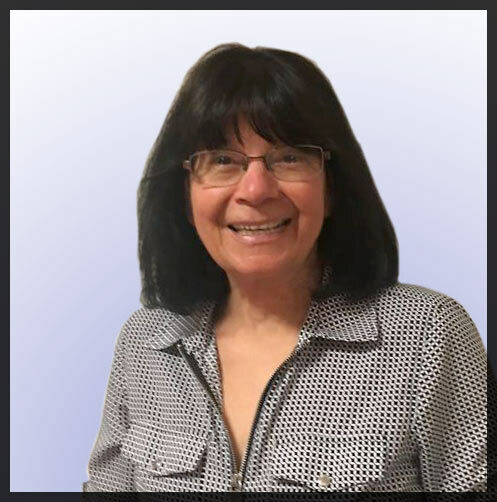 Virginia returned to duplicate bridge in 1989, and is one of the most respected and loved bridge players in Atlanta. She has vowed to top her Mother's master point total! Along with Milton, the love of her life, Virginia raised three children and has 6 grandchildren and 9 great grandchildren. One of her daughters is Barbara Fleming, who is now a third generation terrific bridge player. Virginia credits bridge with stimulating her mind and enjoys getting dressed and going out each day to play. She absolutely loves the great friends she has met playing bridge. She particularly loved her bi-weeklygames with Benny Joffe. Her advice to newer players is to keep trying and to play in the open game. She said she owes her success to her wonderful bridge teachers and partners. She still takes lessons and said she is constantly learning this wonderful game of bridge. When playing at Atlanta Duplicate Bridge Club, you may have noticed the beautiful orchids. They are brought in by Tom Drinkard, who maintains, feeds, and rehabilitates them just to bring a beautiful touch to our bridge experience. Tom grew up in Richmond, Virginia, and attended Virginia Tech majoring in Computer Science. His career was like a bridge sandwich; he was a Software Developer and Systems Analyst followed by an eight year stint as a Bridge Tournament Director based in the Southeast, and then he went back to the computing field from which he retired. He met his wife, Laura, an accomplished bridge player at a tournament. He lives with his three dogs. Sentry is a Black Lab and Stacy and Snickers are Cavalier King Charles Spaniels. The orchid hobby was one he got involved with through Laura, who was raised in Hawaii and had a natural affinity for tropical plants Tom seems to be able to cure even the saddest looking orchid. In addition to all of lthe above, Tom has been a philatelist, interested in US stamps since he was in high school He still has his original collection and became involved again in the hobby about 10 years ago, but he still enjoys the game of bridge more.